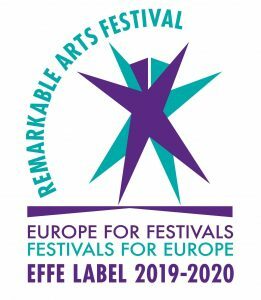 Founded in 2001, the Frome Festival comprises ten days of music (modern, folk, opera and classical), literature, drama, comedy, films, photography, art exhibitions, green issues, workshops, fashion, local history, science & technology, and multi-media presentations. With over 200 events in up to 40 different venues, the Frome Festival is an integral part of the town’s cultural life. It is also a significant factor in the economy of the local area. It has fast become one of the most significant and diverse community festivals in the UK, attracting attention from all over the world. Frome has an extraordinary number of arts spaces for a town of its size (approx. 27,000) including the Merlin Theatre; the Memorial Theatre; the Cheese and Grain hall; Rook Lane Arts; Black Swan Arts, and the privately owned Silk Mill, and Cooper Hall. 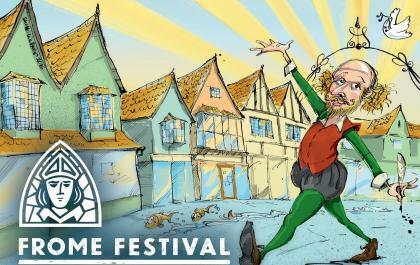 The Frome Festival programme comprises events that are promoted by the individual venues and by the Festival administration under the Creative Director, Martin Dimery. The Founder of the Frome Festival, Martin Bax, previously an actor with the National Theatre and RSC, was awarded an MBE for his services to the Frome Festival, and stepped down after 7 years as Director. Martin Dimery took on the role of Creative Director in 2007 and divides his time between the Festival and the town’s Cheese and Grain, where he is Programme Manager.